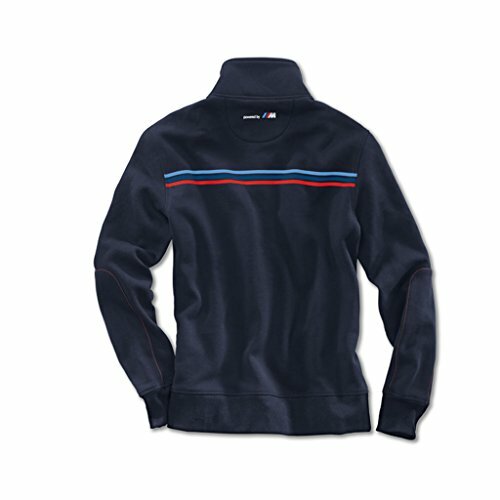 Comfortable racing style sweat-shirt jacket with stand-up collar. Full-length zipper. Side slit pockets. 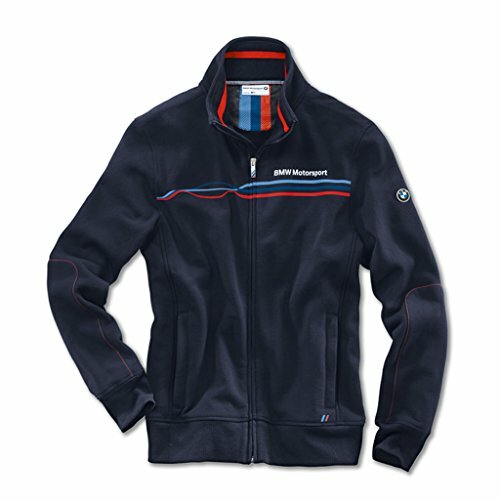 BMW logo on sleeve. Soft cuffs and red stripe on the collar inside. Embroidered logo under the pocket round add to the Motorsport look.